This entry was my first profile for 1967 Topps Venezuelan baseball. I've since updated and reposted it as part of a full series about that country's card sets. Find it at 1967 Venezuelan Baseball #5! 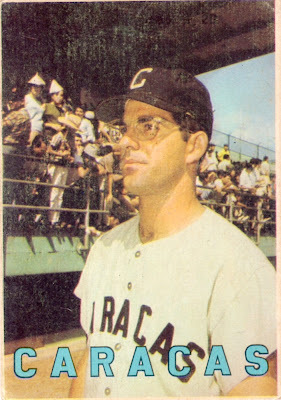 Few can Ca-Rock-as the specs like Mr. Rojas. Cookie is rockin' those glasses. So true! That look's surprisingly modern, with the clear frames and all.